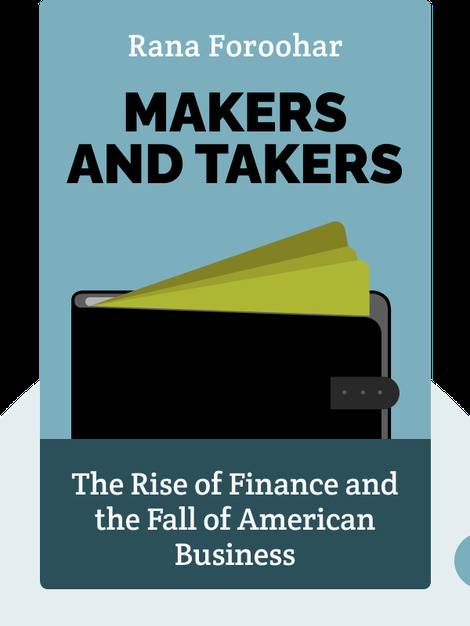 Makers and Takers (2016) investigates the role of finance in the 2008 crisis and subsequent recession. From the Great Depression onward, these blinks trace the history of loose regulation and blurred boundaries between commercial and investment banking, while highlighting the role of banks, businesses and politicians in the crisis. They also suggest actions the powerful can take to kickstart reform. 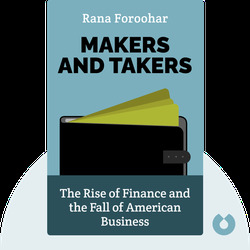 Rana Foroohar is a global economic analyst at CNN and a business columnist for Time magazine. She is also a frequent commentator for the BBC, NPR and CBS.